I’ve had a week of battling my ‘monkey mind’ – that part of the mind that is unsettled and dissatisfied, busy and graceless. This week my monkey mind has been a place of impatience and regret – both fairly useless emotions. It’s the school holidays, I’ve got far too much work on my plate (which I can’t get to, because it’s the school holidays) and I’m burning, itching, yearning to get to some creative work -writing and making- which is coming waaaaay last at the moment, because of the aforementioned kids, work. Cue the negative internal brain loops. The good thing is, I see it, I notice it for what it is – useless thoughts, pointless mental torture – and so as they arise, I work (and boy, does it feel like work) to let them go. Feel it, notice it, let it go. Feel it, wrangle with it, notice it, let it go. Feel it, watch it flare, notice it, let it go. When I’m wrestling with my demons, the best thing for me to do is to go outside. Be with my plants. They bring me solace. I can get perspective out in the garden, also nothing soothes a restless mind like a bit of weed pulling. 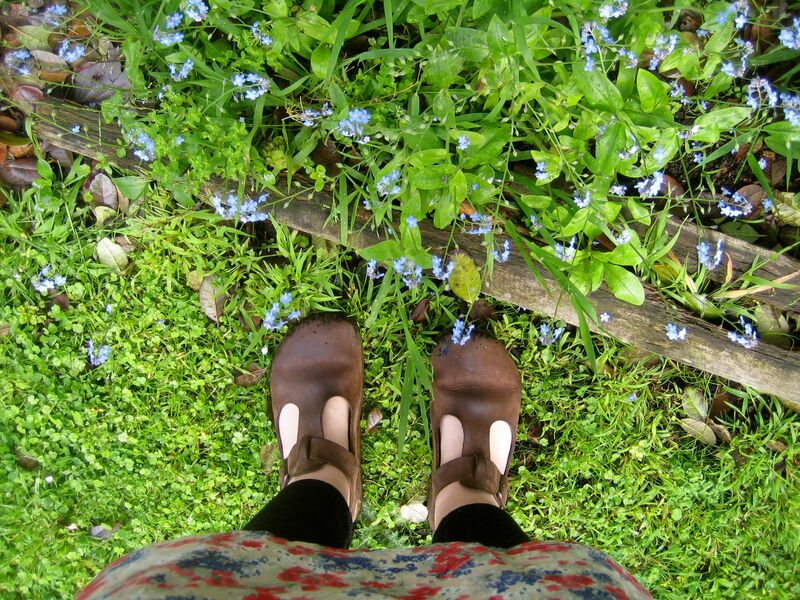 All over the garden, forget-me-nots have self-seeded. They are growing all over the place, occasionally in an actual garden bed. I didn’t bring them to this yard, so they are an inheritance from the gardeners who lived here before me. I love the self-seeded flowers best of all – staunch, self-sufficient little fellas. Bright blue flares of tiny flowers everywhere – they’ve come in just the right week, when I need reminding what is worth remembering and what to forget. Hi Helen – me too! Through good days & bad days the garden is always there, ever changing but reliable. Lovely post and such pretty pictures. i’ve been battling with a similar ‘monkey-mind’ and can agree that it definitely feels like ‘work’ to let those thoughts and desires go. 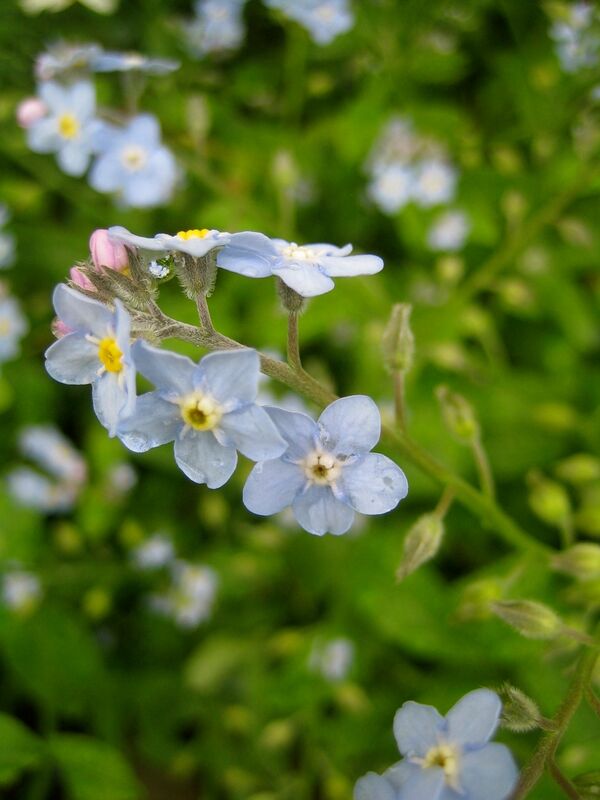 aren’t forget-me-nots beautiful? i’ve just noticed a patch of white ones gathering around the washing line.